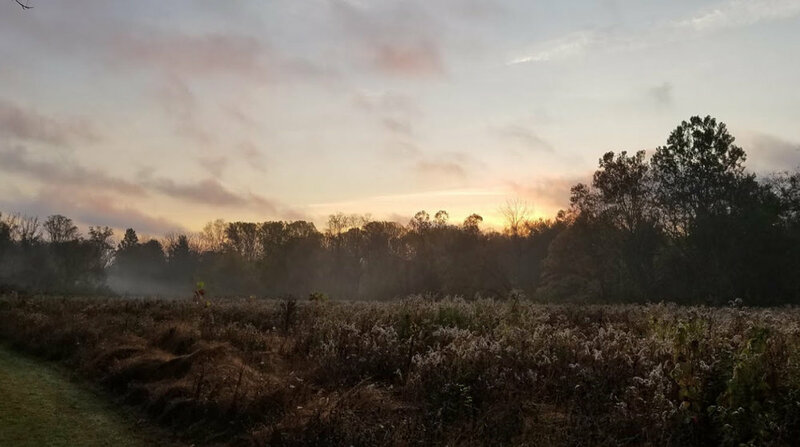 The Conservancy received the Preserve in 1979 as three separate gifts, originating from two larger farms (the Elliott Farm and the Cool Valley Farm) that were sold for the Shadow Oak develop-ment. The developers contributed the upland sections and Mrs. Kalthenthaler, owner of the Cool Valley Farm, gifted 6 acres of floodplain and steep slopes along Valley Creek at the north in memory of her husband Henry. Establishment of the Preserve took three years or more while the development went through bankruptcy; OLC had to deal with many encroachment and stormwater management issues. It has been reported anecdotally that during Prohibition local moonshiners operated a still on the hill leading down to the creek from where the trestle photo was taken. The operators were alerted to periodic police raids and survived by removing the copper and expensive portions of the apparatus, leaving behind the tin parts and piping that were easily and inexpensively replaced. Newspaper head-lines reported that the still was destroyed, but by the following evening it was back in operation! That section of the Preserve was too steep to farm and so contains the most native and significant habitat on the preserve. A pretty but strenuous circular trail leads down to the creek (with its naturally reproducing brown trout) through tall older tulip, black walnut and white ash trees. Across the creek to the north is a magnificent Chinquapin Oak, Quercus muhlenbergii, a member of the white oak group typically found on calcareous soils and rocky slopes (and in OLC’s other Preserves). This example is over 70 feet tall and with a base circumference over 16 feet, the third largest in the PA Forestry Association’s Big Tree program. The woodland merges into a scrubby invasive-dominated thicket towards the main trail leading into the preserve –a prime site for the Conservancy’s restoration program. In 2012 our meadow mowing service, Lentzcaping Inc., cleared three plots totaling about half an acre, and with manage-ment assistance from our friends at Green Valleys Watershed Association, trees from the TreeVital-ize program and enthusiastic planting labor from employees of Siemens Medical Systems (see pho-tograph below) we planted 300 native trees. Three years later, the birch, blackgum, oak, ash, maples and more are bursting out of their protective tubes. The section of the Preserve south of the entrance trail is maintained as two cool season grass meadows dotted with trees and separated by a hedgerow. The southern boundary of the preserve is tree-lined with planted evergreens and poplars. The abandoned rail line to the east of the preserve has been marked for a future township trail -the Patriots Path. 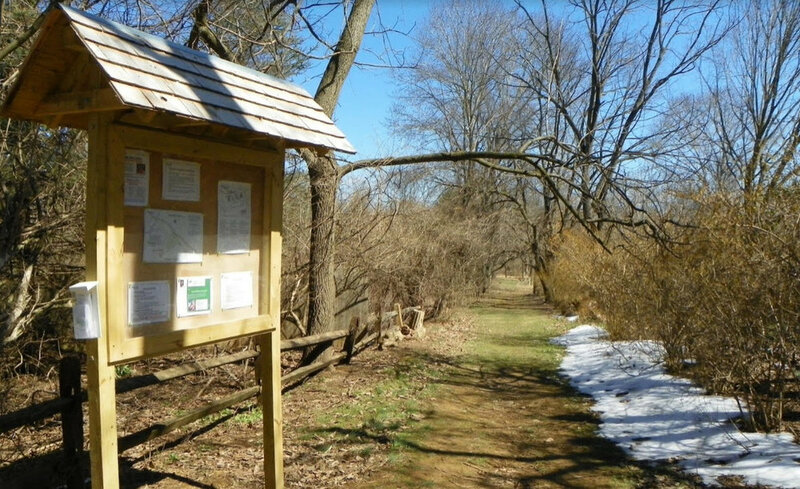 Subject to careful implementation that protects the rural nature of the Preserve, this presents an exciting opportunity to broaden access by connecting with the Chester County Trail to the south and to the Conservancy’s Cedar Hollow Preserve and East Whiteland’s Valley Creek Park to the north and west.